In the beautiful landscape of the region Twente lies our nursery of 80 hectares. 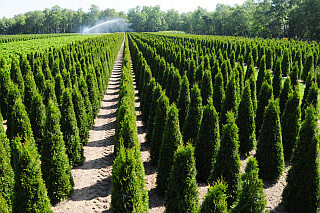 For over 40 years we are growing our exclusive assortment of Shrubs, Conifers, Pines, Topiary, Hedging plants, Taxus and Buxus on our fields. 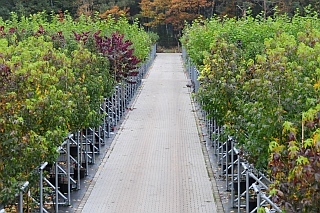 We also grow over 300 species of ornamental trees on our container grown nurseries. An exclusive assortment of field grown plants.